Aquarium-Fish-Plants.com - Your fishkeeper guide! Stocking ideas: what fish for your 15-20 gallons Fishtank? 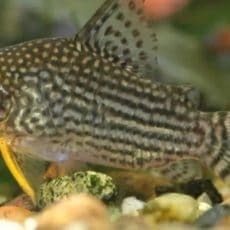 Aquarium-Fish-Plants.com - Your fishkeeping guide! On the following pages we offer you a lot of information to help the beginner as well as the advanced aquarist. Practical suggestions for keeping aquarium fish, shrimps, other invertebrates and aquarium plants, their care, breeding and socialisation. See below our latest posts on fishkeeping! 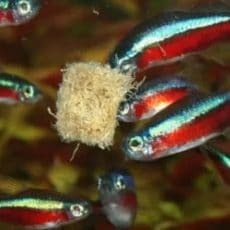 The stocking density in the aquarium: How many fish per litre fit into your tank? Aquarium fish food comparison: which fish food should you feed in the aquarium? How many armor catfish for your aquarium? 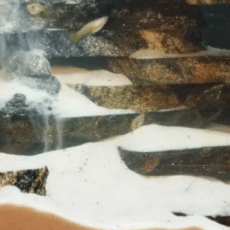 How can you clean your aquarium sand? In the US there are over 10 million aquariums with around 36 million ornamental fish. Every year about 10-20% of fishkeepers give up their hobby and put the tank in the corner, on the floor or in the cellar. Mostly the reason is given that the plants do not grow or the fish composition caused losses over which one cannot get over. You feel sorry for a dead fish, just like an animal lover feels sorry for every animal that died. But is this suffering so deep that one is willing to learn from one's own mistakes and to concern oneself from now on with the subject of fishkeeping in order to successfully care for aquarium fish in the future? It is easy to buy an aquarium, accessories and fish, but it requires some knowledge to keep fish healthy over a longer period of time. After all, many fish live to five to ten years, some get even older. A fish does not breathe the oxygen of the air like we do, like a hamster or like a budgerigar in a cage. The fish breathes the oxygen you allow him to: cleaned, processed and fresh or cloudy and almost inedible. A fish swims and breathes in its own excrements if you don't remove them. The argument that there's no room for an aquarium doesn't work. Someone who says such a thing, has other aversions against an aquarium, but its certainly not the place. A place can be found everywhere, even a flower-window is suitable if the radiant heaters of the heating system underneath are shielded by a polystyrene plate and the back of the aquarium is also insulated against the sun's heat by such a plate. The ideal place for an aquarium is not the windowsill, but if the aquarium disturbs at any other place in the room, it may stand there, only against too hot sunlight you have to protect the tank; especially in summer it can reach temperatures of over 40° in a south window. However, fish rarely tolerate temperatures above 30°. 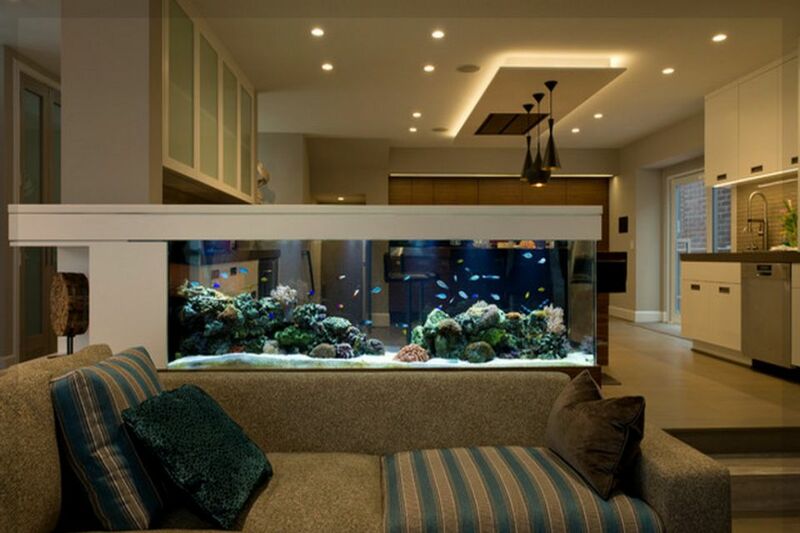 An aquarium should bring a lively, colorful and nature-related viewpoint into the apartment. It should be placed in the living room in such a way that it does not disturb; on the one hand, however, it should be clearly visible from the sitting area, preferably from the aquarist's favorite spot; on the other hand, of course, it should not become a "house altar" that crushes everything else in the room - in short: the aquarium should adapt to the furniture and style of the house. Have we aroused your interest? On the following pages you will find out how to set up an aquarium and which stock is suitable for it! Set up a Fishtank - a complete guide! Of course, you would prefer to skip to the stock of your new aquarium. But before you can think of using creatures like fish, shrimps, snails or invertebrates, your aquarium must pass some tasks. There is a lot to consider, from the selection of the right location to the selection of technology (lighting, filters and radiators)! 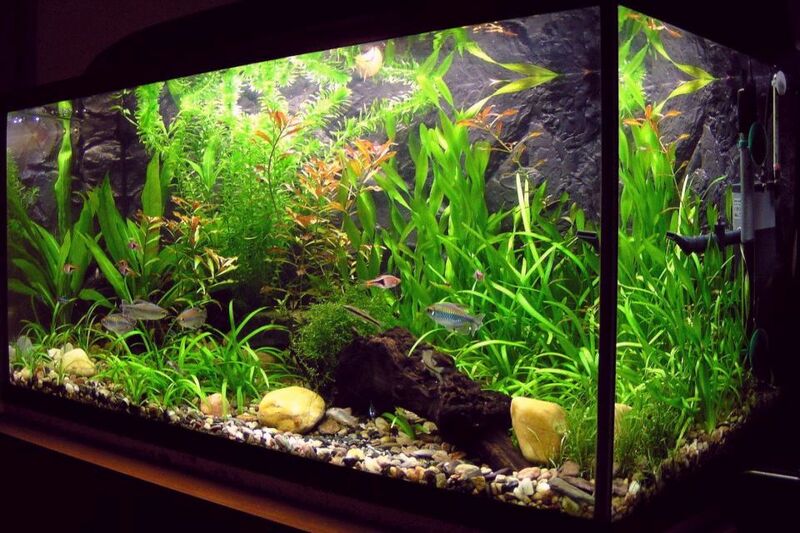 In the following article we will show you how to set up your perfect aquarium. Fish for common fishtanks - setup ideas for your tank! Red neon, Malawi or invertebrates? Most mistakes are made when choosing the right stock. Again and again one hears for example of bad consultation in shops or of outdated information with the composition of the stocking. With a little research in our guide you will quickly find the perfect fish for your aquarium! Discover our setup idea for common different tank sizes below. 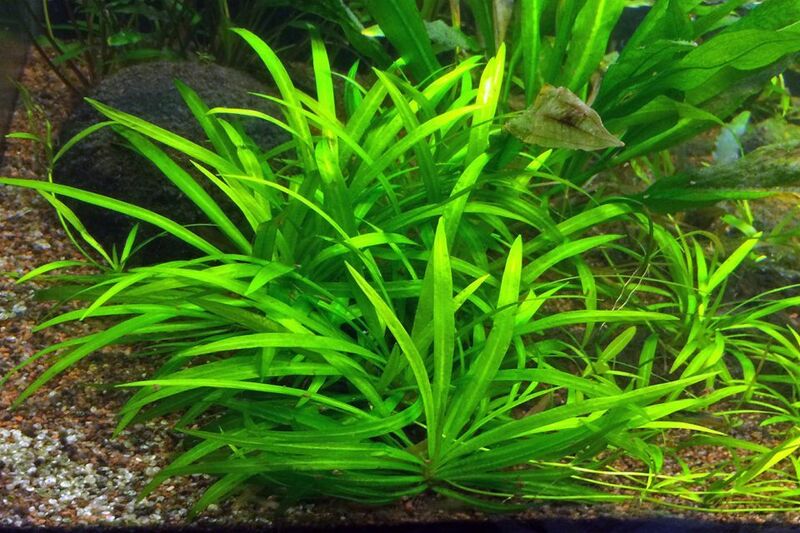 The right plants for your fishtank! Available soon: Besides fish and other aquarium inhabitants, plants play a very important role. Not only are they essential for the design of your aquarium, they also contribute an essential part to the well-being of your fish! 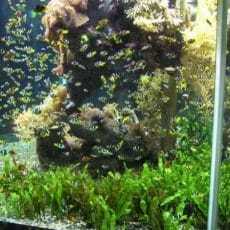 However, the cultivation of aquarium plants often becomes a problem. But it is less difficult if you avoid making fundamental mistakes when setting up the tank and the associated selection of plants. In the following you will find information about many plants and their care, as well as many plant-sets for common fishtank sizes! 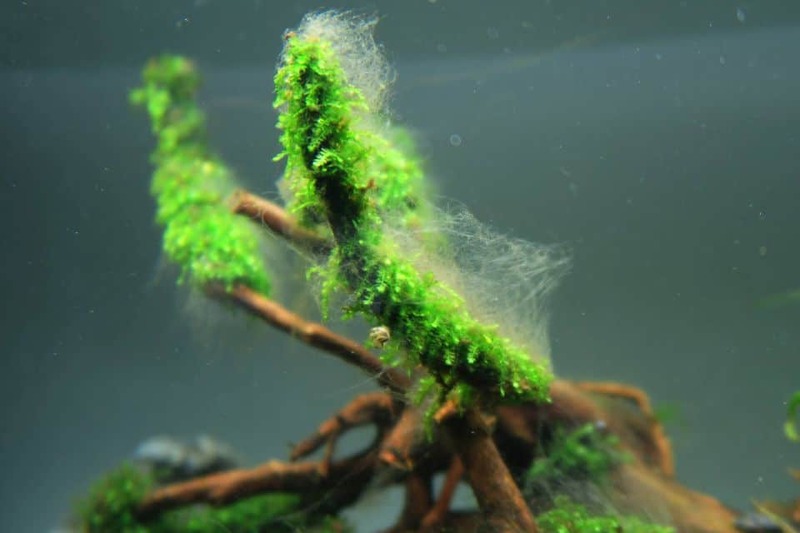 Available soon: Green algae, beard algae or red algae ... there are many different kinds of algae in the aquarium. The cause for the annoying fishtank inhabitants can lie in many factors. For example, even the smallest inconsistencies in water values often lead to unpleasant fishtank inhabitants. In the following guide we will show you which kind of algae has crept into your aquarium and how to actively approach and avoid it! Cockatoo cichlids in the aquarium: how to hold Apistogramma Cactuoides? Which catfish can you keep in a 54 to 60 litre aquarium? 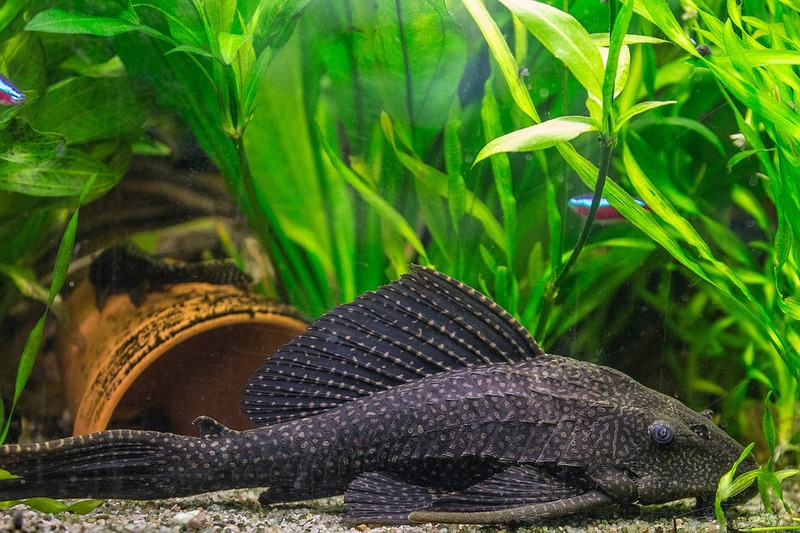 Cleaning the aquarium filter: what do I have to consider when cleaning the aquarium pump? What fish for your tank? - Discover setup idea for you fishtank! Setup your fishtank - visit our step by step guide! Color enhancer Food for all aquarium fish! My recommendation: food for catfish! Setup your fishtank with our step by step guide! Copyright © 2019 Aquarium-Fish-Plants.com. Powered by WordPress. Theme: Ample by ThemeGrill.